The I.D. Buggy is futuristic and retro at the same time. It’s retro because it looks a lot like the original buggies of the 1960s. 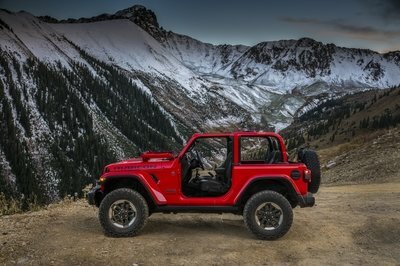 It has oldschool fenders that only cover the top of the wheels, it doesn’t have doors and a roof, and its front and rear fascias are minimalistic. And it’s somewhat futuristic because the buggy’s famous styling cues were redesigned with a modern twist. The simple lines are actually stylish and backed by modern-looking bumpers and LED lights. The concept also sits a tad higher than the original dune buggies. The front end retains the frog-eyed look of its spiritual predecessor. However, the headlamps aren’t mounted atop the fenders, but at the corners of the fascia, like on most modern cars. 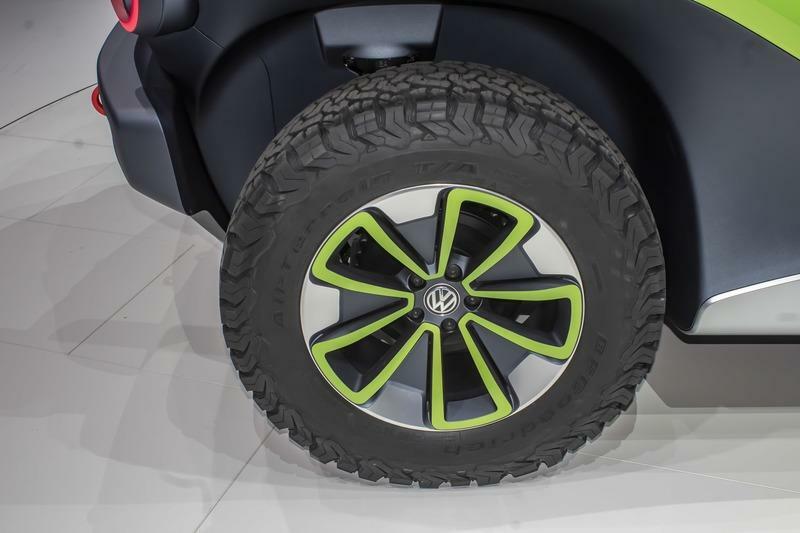 Volkswagen retained the round headlamps design for a better connection with the original dune buggy. 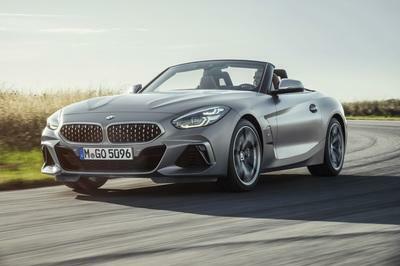 It doesn’t have a grille for the exact same reasons, while the front hood raises dramatically toward the fenders. The profile screams "oldschool dune buggy." The swoopy beltline descends from the top of the front fenders to pass under the area where the doors should be and than ascends in a smoother fashion toward the rear fenders. This is where Volkswagen added a modern twist by finishing the lower section in dark blue and adding a silver element that simulates a side skirt. The two-tone paint scheme also creates a floating effect for the upper section of the body. The rear fascia mirrors the front end almost 100 percent. The only notable difference is the taller fascia, which results in a taller bumper and taillights placed higher compared to the beltline. The taillights are round just like the headlamps, but feature an "X" LED pattern in the center. Big rollover hoops cover the deck lid, which was carved out to make room for luggage or, according to Volkswagen, an additional pair of seats. The I.D. Buggy rides on 18-inch wheels finished in silver and Fern Green, just like the body. 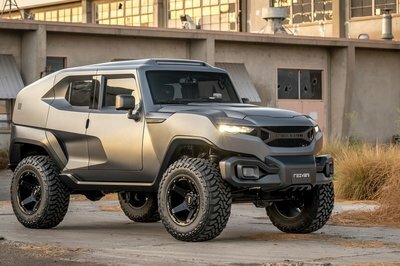 They are wrapped in BF Goodrich All-Terrain off-road tires, so this concept car is ready to tackle the great outdoors. Needless to say, it’s more than just a sand buggy. All told, the I.D. 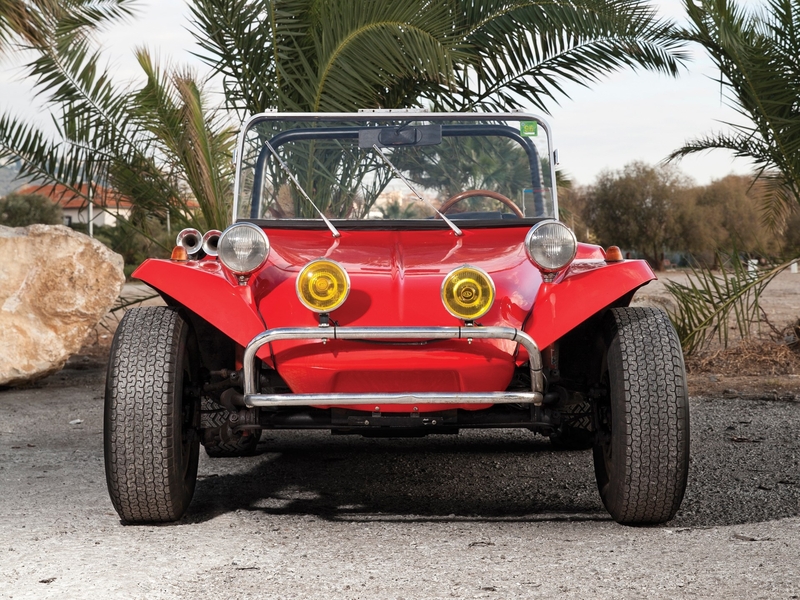 Buggy is a cool revival of the dune buggy spirit when it comes to visuals. 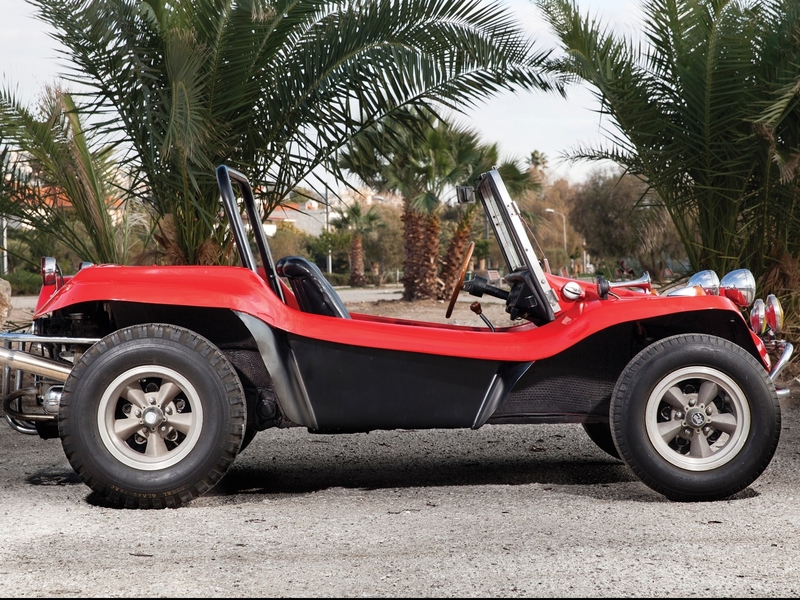 The original dune buggy was a no-nonsense vehicle inside the cabin. This was mostly because most cars, and especially the Beetle it was based on, has spartan interiors, but such a vehicle didn’t need comfort features anyway. Volkswagen made sure the I.D. Buggy remains true to that concept with a really simple design that skips all the buttons, knobs, displays, and comfort features we find in most modern vehicles. The dashboard is just a big piece of dark blue plastic from one side to the other. Don’t bother looking for buttons and knobs as there aren’t any. There is a small instrument cluster behind the steering wheel, but it only displays vital information like speed, gears, and whether the lights are on or off. The steering wheel is equally simple and includes just a couple of touch-sensitive buttons on each side of the horizontal spoke. The Fern Green paint that trickles inside the cabin on various surfaces and the green spoke of the steering wheel contribute to the interior’s vintage vibe. There’s no center stack and despite this concept having an electric drivetrain, there is a center console between the seats. However, it’s rather thin so it doesn’t really affect legroom. The seats are basic as well, and even though they don’t have solid side bolsters, the fact that the seating surface is carved pretty deep into the seat must provide some support. Both the steering wheel and the seats are wrapped in waterproof materials, including Nappa leather and anti-slip fabric. 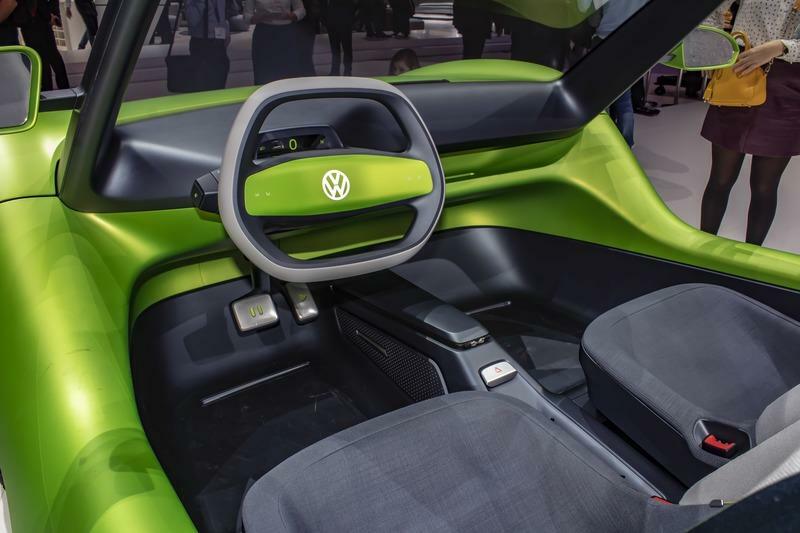 The concept was designed with driver and front passenger seats only, but Volkswagen says there’s room for two more seats in the back. Due to limited space though, these would be smaller, so the I.D. Buggy is limited to a 2+2 layout instead of a full-blown five-seater. 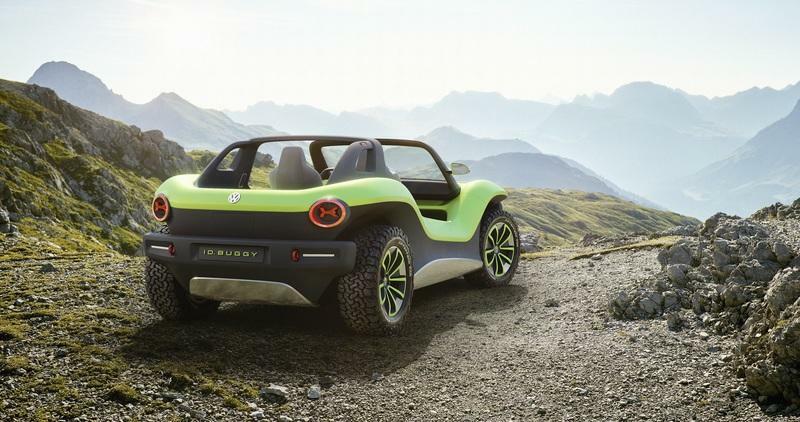 Just like the I.D.-badged vehicles before it, the Buggy is an all-electric vehicle. And just like its EV cousins, it has a unique battery. The 62-kWh lithium-ion stack, for instance, is smaller than those in the I.D. Vizzion and I.D. 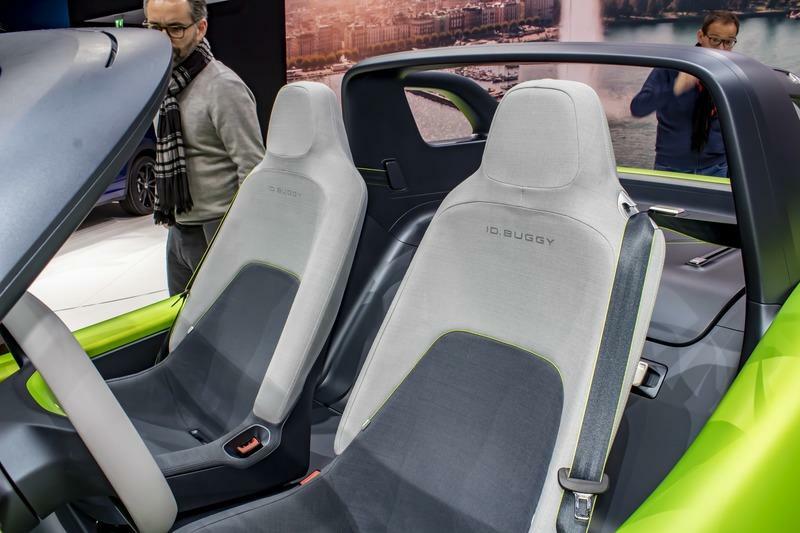 Buzz, which feature a 111-kWh battery, or the I.D. Crozz, fitted with a 83-kWh unit. And unlike the aforementioned concepts, the Buggy has only one electric motor. 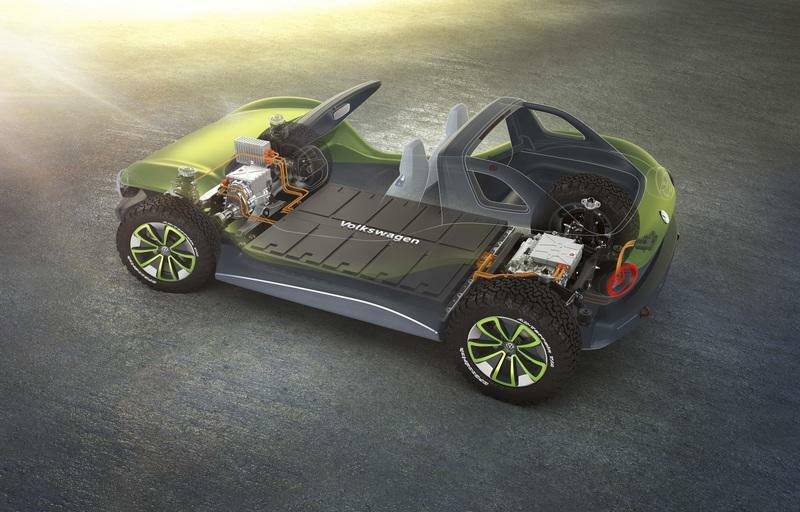 Volkswagen’s new MEB platform supports electric motors on both axles, but the German firm went with a rear-mounted unit only. 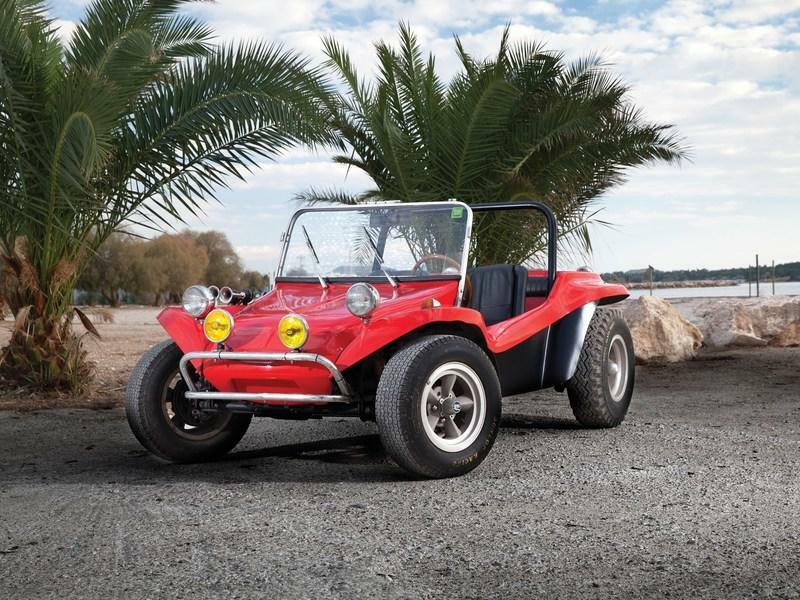 VW didn’t explain the absence of a second motor, but it probably has something to do with the fact that the original dune buggies had rear-mounted engines. 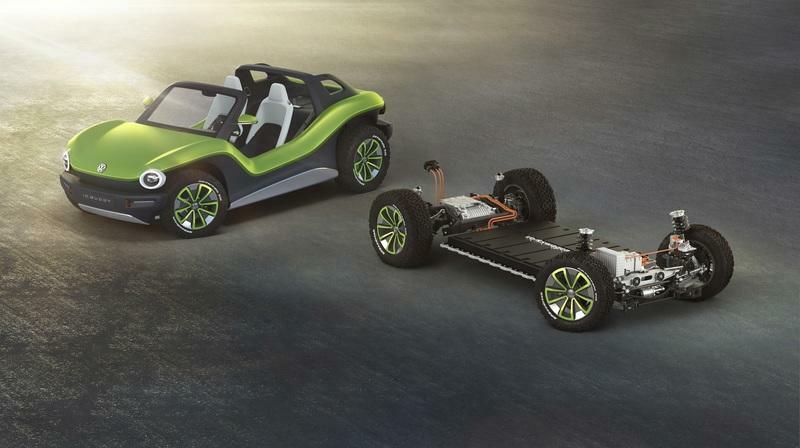 The company did mention that a second electric motor could be added to create an all-wheel-drive layout. The single motor generates 201-horsepower. This figure confirms that the unit is shared with other I.D. concepts. A second, front-mounted motor would increase output to 302 horses, just like in the I.D. Buzz, I.D. Vizzion, and I.D. Crozz. 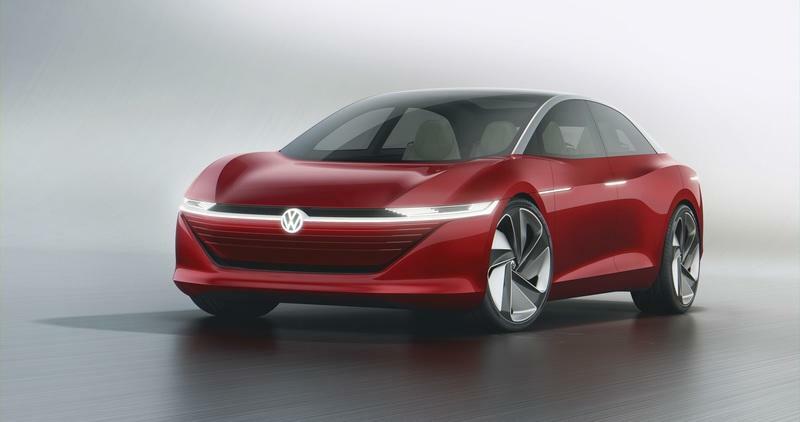 Volkswagen estimates mileage at 155 miles per single charge. This is notably lower than other I.D. concepts and that’s mostly because the battery is smaller. The I.D. Buzz, for instance, returns 270 miles per charge thanks to its 111-kWh battery, while the I.D. Vizzion is estimated to return up to 413 miles when regenerative braking is factored in. Granted, the I.D. Buggy isn’t as impressive as its siblings in this department, but it’s still potent compared to most production electric vehicles on the market. Performance-wise, the I.D. Buggy is pretty quick. The sprint to 62 mph comes in just 7.2 seconds, while top speed is electronically limited to 99 mph. 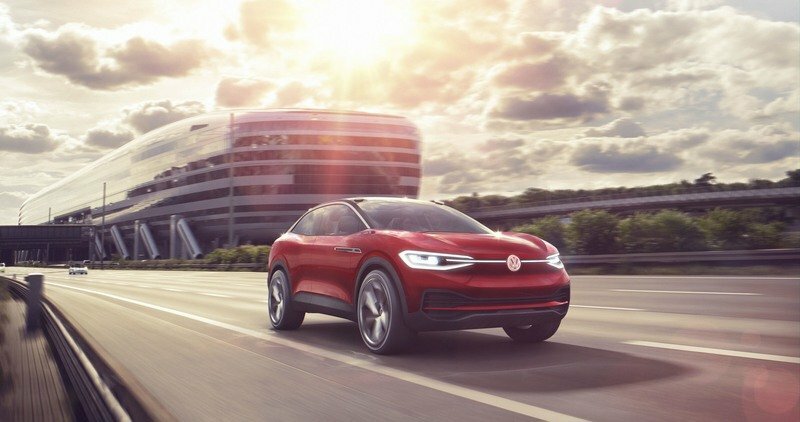 Again, Volkswagen unveiled quicker I.D. concepts in the past, but the Buggy in an off-roader and not a sports car. Is the I.D. Buggy a cool car? Definitely! Will it make it into production? No way! So why are we even talking about it? Well, I don’t know about you, but I like buggies. They’re lightweight sports cars with some off-road capability. You can’t drive them in the cold season, but they’re loads of fun during summer. 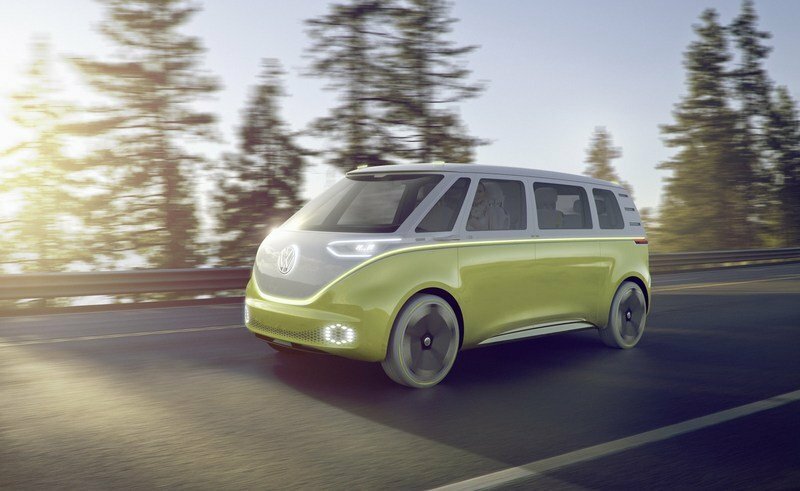 What’s more, I like what Volkswagen is doing with the I.D. line. Not only it includes sports cars and hatchbacks, but the badge also spawned two revivals of iconic vehicles: the bus and now the buggy. 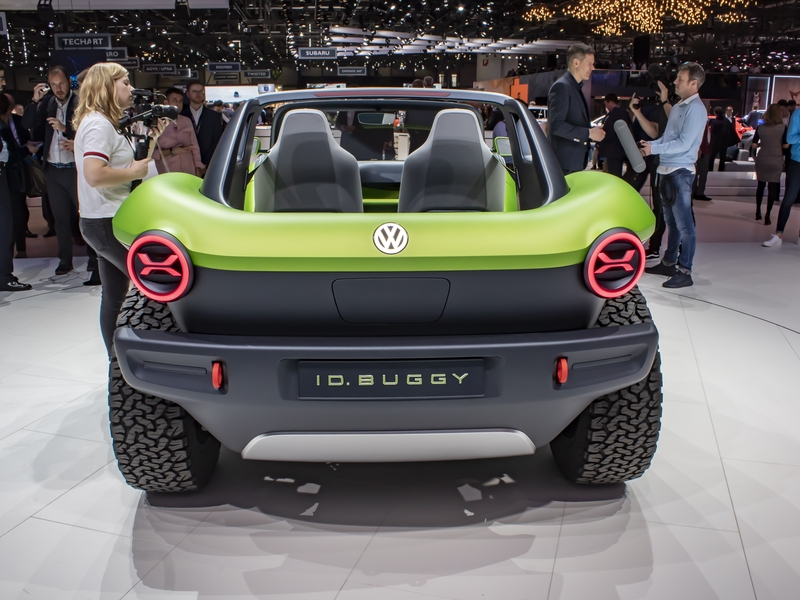 And it also seems that the buggy is making a comeback, albeit in concept form only so far. Before VW launched the I.D. Buggy, Citroen came out with the E-Mehari and the C-Buggy. 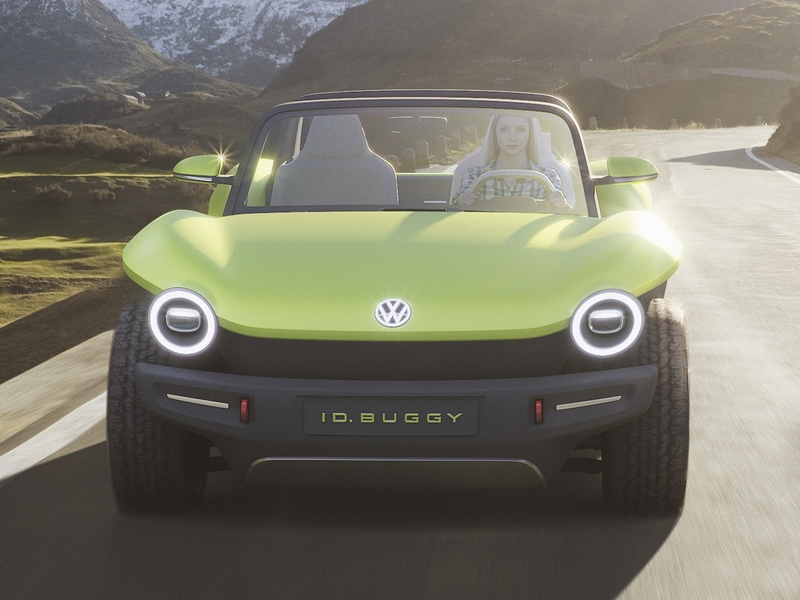 An all-electric buggy wouldn’t make much sense financially for a company like Volkswagen, but it’s a cool thing to have in concept form and proves that the new MEB platform is universal. And that’s exactly what I want to see from a company that promises tens of electric vehicles over the next few years. Today Volkswagen introduced the next member of the ID. 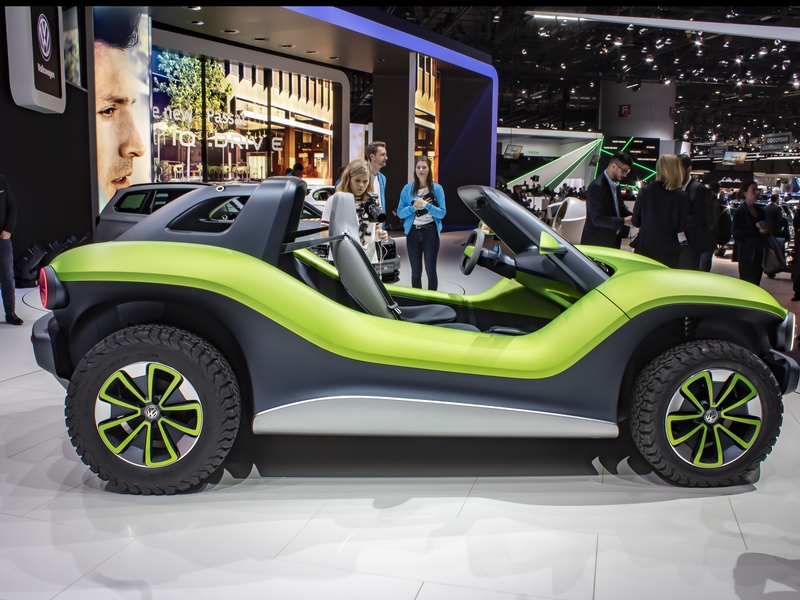 concept family at the 89th Geneva International Motor Show—the I.D. BUGGY. 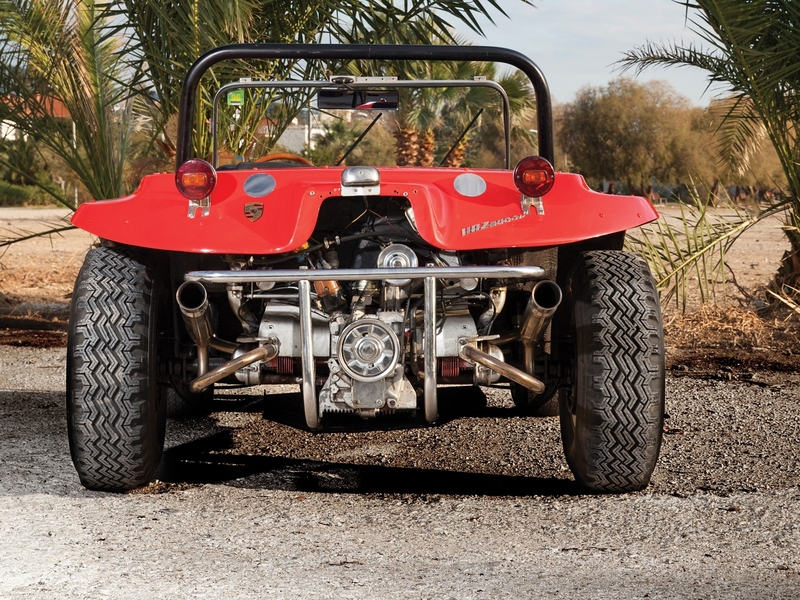 Drawing inspiration from the classic Californian dune buggies of the 60s, the ID. BUGGY shows the versatility of the modular electric drive matrix (MEB) and puts the fun in functional. I.D. BUGGY is at once futuristic and retro. The MEB chassis integrates a 62kWh lithium-ion battery into the floor and a 201-horsepower electric motor in the rear to give it an expected range of 155 miles on the WLTP cycle. 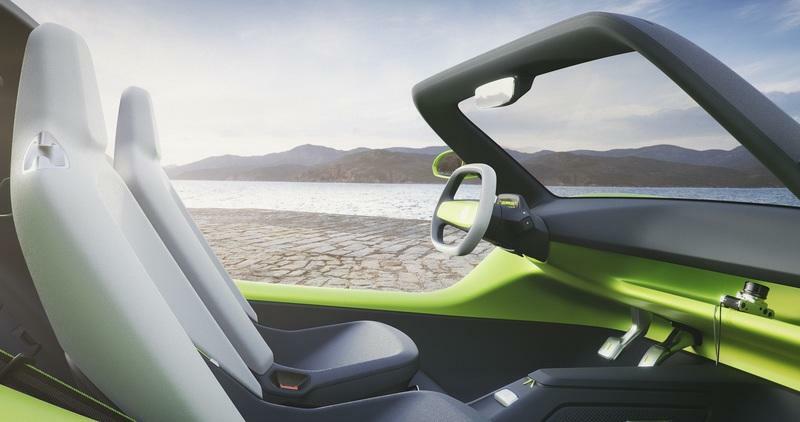 The minimalistic design—no doors or roof on this two-seater—gives drivers the purest experience of classic beach cruising. The zero-emissions drivetrain of the I.D. 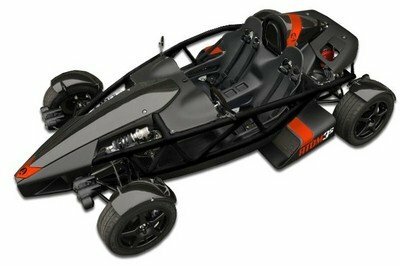 BUGGY is made up of the electric motor integrated in the rear axle, power electronics, a single-speed gearbox, the high-voltage flat battery (62 kWh) arranged in the car floor to save space, and the additional units integrated in the vehicle front end. The electric motor delivers 201 horsepower and maximum torque of 228 lb-ft from standstill. This means that the electric vehicle always provides enough power on the rear axle, even off-road. With full acceleration on paved slopes, the concept car sprints from zero to 62 mph in just 7.2 seconds. The maximum speed is electronically controlled at 99 mph.